Teams are all on the same Air Canada flight to Buenos Aires, Argentina. Once in Buenos Aires, teams must head to Plaza Canada and find their next clue next to a traditional totem carved out of a British Columbia Red Cedar as a gift from Canada to Argentina. Nic & Sabrina, Brian & Cynthia and Niel & Kristin are the first teams to arrive and read the plaque describing what the totem represents. Afterwards, they open the clue directing them to the barrio of La Boca. Here, they find the Road Block: Who can do things to the letter? For this Road Block, teams will search the area for three stalls with marked Mentos candy and gum. 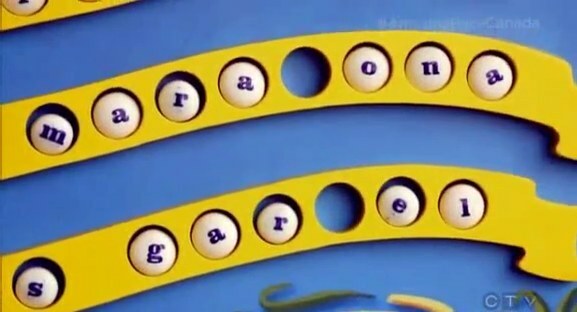 They will then find La Boca Playground and use the Mentos stamped with letters to spell out the names of four famous Argentineans: Eva Peron, Pope Francis, Diego Maradona and Carlos Gardel. Sabrina is first to start and is comfortable since Argentina is like a 2nd home to her. The first three names quickly come to her (and should easily come to most people). She asks locals for the last name and gets it. But she thinks she doesn’t have any “d” Mentos. Neil and Cynthia decide to work together as do Nick with Dana and Dujean with Brent. Sabrina finally sees her mistake and she and Nic leave for the next Route Marker at Futbol Madero. Meanwhile, Simi & Ope and Gino & Jesse are lost. Neither have found Plaza Canada. Back at the Intersection… I mean Road Block, Hamilton sees he’s the only one doing it alone. He asks Neil for help, but his Intersection partner Cynthia says nope nope nope. They’ve been working a long time on it and are not about to hand him the answer. Over at the football field, one team member will be blindfolded while the other will act as coach and guide them through cones toward the net where they must kick a goal. If they can complete the task in under one minute, they get the next clue. Nic will be the blindfolded player with Sabrina the coach. Jesse and Simi start on the Road Block as Dana and Nick ask some locals for Pope Francis’ name to finish their boards. Neil and Cynthia finish followed by Dujean and Brent. All the teams have finally arrived at the soccer field. Nic & Sabrina have just failed their 20th attempt. Neil & Kristin are on their 4th attempt and their clock strategy has worked. They set off for Plaza Obelisco for their next clue. Being here for two hours, Sabrina suggests they take the penalty. Nic is upset because he used to be a professional soccer player. He tells her there’s no way they’re taking the penalty. 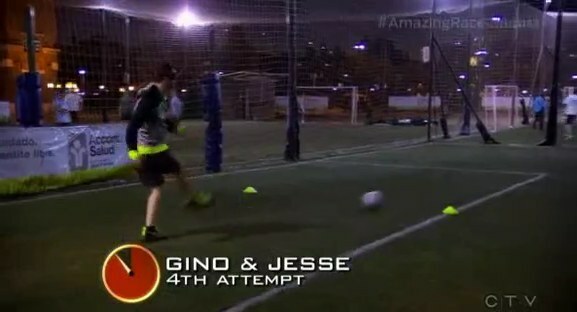 Just then, formerly last place Gino & Jesse have scored their goal on their 4th attempt. Nic & Sabrina decide to take the penalty. Niel & Kristin get to the obelisk and find the Detour. In Dine, teams must serve a delicious spread of Asado, Argentina’s famous grill meats. One team member must be a chef and learn a menu of 12 items in Spanish. The server must take and memorize the orders of 3 patrons. The server must then relay the orders to the chef who must correctly plate them. 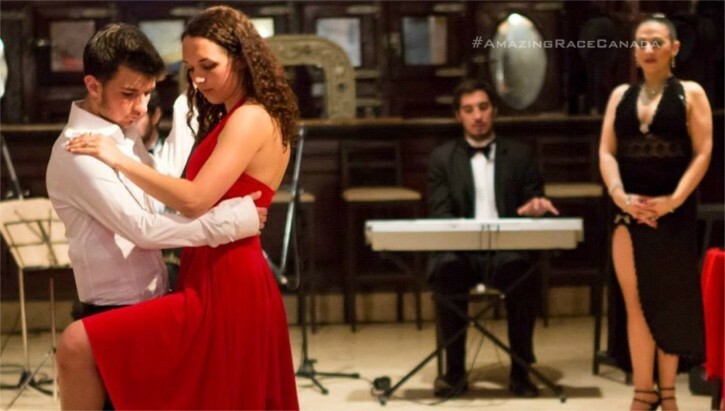 In Dance, teams will entertain dance hall patrons with a tango performance in full attire. Teams must choose carefully because this is a “Limited Stations Detour” with room for only six teams at either choice. Both Neil & Kristin and Gino & Jessie choose Dance. Back at the field, Nick & Matt come up with a “hop” technique which doesn’t involve dribbling the soccer ball and they finish after their 7th attempt. Hamilton & Michaela also get creative to finish on their 11th attempt while Brian & Cynthia also hop. Simi & Ope and Dujean & Leilani finish next, leaving Dana & Amanda (who get it on their 18th attempt) and Brent & Sean (who get it on their 26th attempt). Nic & Sabrina choose the Dine Detour and get started. Nick & Matt, Hamilton & Michaela and Brian & Cynthia choose Dance. Nic & Sabrina finish the Detour and hurry over to the Pit Stop, Puente de la Mujer at Puerto Madero. They are shocked to be Team #1 and that makes them even more disappointed about taking the penalty which they must now wait out. Simi & Ope choose Dine and Dujean & Leilani choose Dance. Neil & Kristin consider switching Detours, but ultimately decide not to. Simi & Ope want to switch and Dana & Amanda choose Dance too, but they find it is full. They and Brent & Sean head to the restaurant. It is Neil & Kristin’s 5th attempt and they finally get the thumbs up. They head to the Pit Stop and are able to officially check-in as Team #1. They’ve won a trip to Beijing, China and free gas for 6 months. 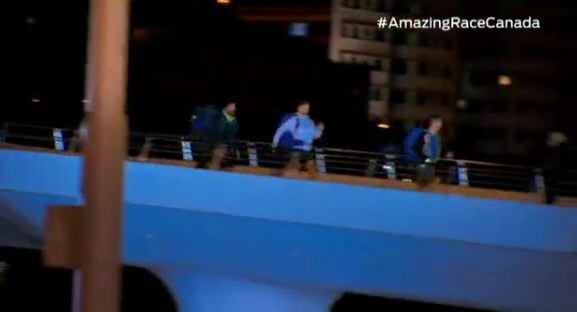 Nick & Matt finish the Detour on their 2nd attempt and Gino & Jesse on their 3rd attempt. It’s a foot race to the Mat with Gino & Jesse officially Team #2 and Nick & Matt settle for Team #3. Nic & Sabrina still have one hour left on their penalty. Dujean & Leilani get the dance on their first attempt. They head to the Pit Stop to check-in as Team #4. Simi & Ope are on their 2nd attempt and they’ve served the correct dishes. They head to the Pit Stop as Team #5. Brent & Sean are next to get the right orders and get to the Mat as Team #6. Over at the tango, Hamilton & Michaela finish on their 2nd attempt and are officially Team #7. Brian & Cynthia get the thumbs up on their 2nd attempt. Dana & Amanda get their own thumbs up on their 4th attempt. Both teams hurry to the Pit Stop. Nic & Sabrina are able to check-in and they are officially Team #8. Brian & Cynthia and Dana & Amanda come running up. But it is Brian & Cynthia who are Team #9. 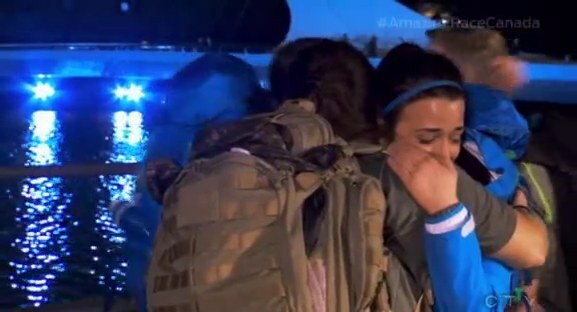 That means, Dana & Amanda are last and eliminated. Now this was a great episode. Definitely, no question, best episode of the season so far. It was a very full episode with some great tasks and awesome competition. The tasks on this Leg were good and difficult enough that the first come first served and “Limited Stations” stuff didn’t make this a linear, processional Leg. The blind soccer was great. And the Detour choices were balanced and both challenging, though not completely impossible. Everything came together very well to make for a great episode and Leg. I’m putting Brian & Cynthia in first if only for Cynthia shutting down Hamilton so nonchalantly. lol It was both funny and a little mean. But this is definitely a competition. And if you watched TAR Philippines 2 and read my recaps, you know how much I hate answer sharing. So yay Cynthia! I was really worried for Simi & Ope but seeing them pick themselves up and then fight to stay in at that Detour was awesome to watch. 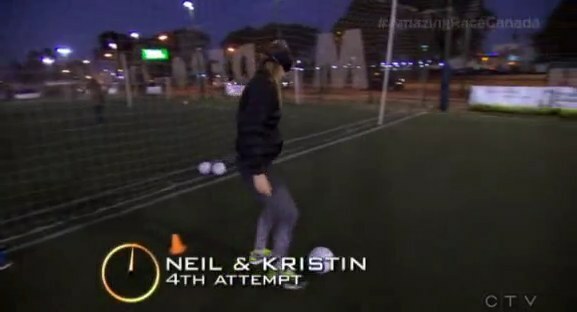 Neil & Kristin have moved up on my list. I think they have a lot of potential to be a fun team. Kristin especially reminds me another team, but I just can’t place her. It was great to see them get the win, even if it was because of the penalty. Dujean & Leilani were definitely a little boring this week after last week’s fun. Looking and sounding so much like him, I kinda wish Brent & Sean were basically a pair of Ross Matthewses. Gino & Jesse moved back up to 2nd and kudos to them for recovering a little bit. But I think I will enjoy them much more if they decide to bottomgoddess instead. Lol Nick & Matt and Hamilton & Michaela were just okay this Leg. I wish we saw some more fight from Dana & Amanda. Not much of that fire you’d expect from a pair of cops. And finally Nick & Sabrina. They were one of the my favorites in the first two Legs. But them just quitting that task, even if they were there a long time already was just disappointing. Especially when other teams completed the task, even if they got creative. Quitting is always a no-no on TAR. ← Recap: Shuriken Sentai Ninninger, Episode 20 – The Chozetsu! Lion Ha-oh!